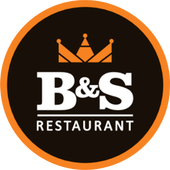 B&S Restaurant, Nordurlandsvegur 4, 540 Blonduos, Iceland. We welcome people and all sorts of groups. We offer good meeting facilities with wireless internet and projectors. The size of Eyvindarstofa is 72 squaremeters, but in addition to that, there is also a 109 squaremeters dining room. The dining room’s design is inspired by Eyvindur’s cave, and there guests can experience the home Fjalla-Eyvindur had in Hveravellir. Walls, flors and other things are made according to Eyvindur’s style and people can experience this unique atmosphere with sounds that remind of the highlands, the geysers and of fire. Stories of Fjalla-Eyvindur are told through pictures and texts, and then the experience is made perfect with a special kind of food, served on plates and in bowls according to the crafts of Fjalla-Eyvindur. Gunnar Tr. Halldórsson, exhibition designer, designed Eyvindarstofa.